Low FODMAP muffins are great served as snacks or treats when entertaining. They also freeze and reheat well, meaning you can pull them out of the freezer whenever you’re hungry. 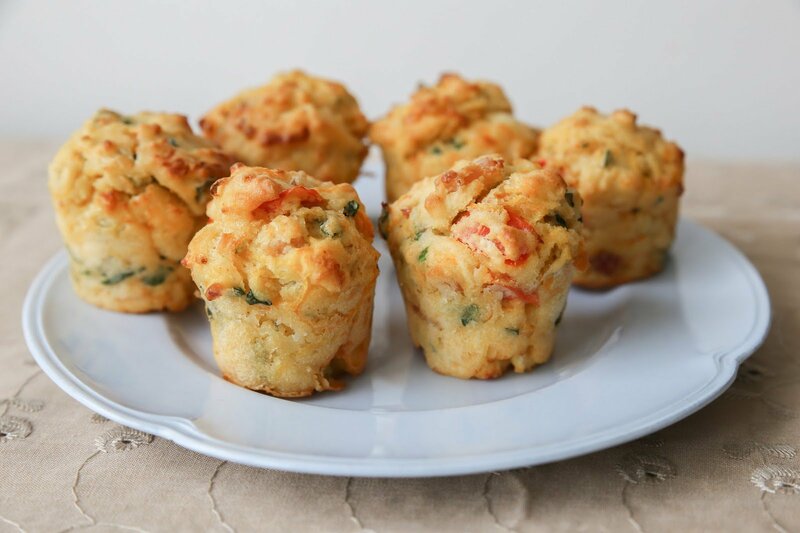 Here is a delicious, easy recipe for savoury low FODMAP muffins that is easy to modify to suit your taste or inspiration (see the tips below)! Preheat oven to 160oC and on a lower shelf of the oven, half fill a baking tray with boiling water (see tip below). Sift flour, baking powder and xanthan gum into a large bowl, then add the bran (mix again). In a separate bowl, whisk eggs with the cream and milk. Add capsicum, crumbled feta and basil to the egg mixture. Make a well in the flour mix and fold wet mix into the dry ingredients (you may have to add more milk to achieve a dough that is slightly sloppy, but not too wet). Place large muffin cases in a muffin tray and spray well with canola oil. Bake for about 17 minutes until golden brown (an inserted skewer should be clean when removed). Cool in the tray for 5 minutes, then place on a wire rack to cool further. Instead of (or as well as) capsicum, add cubed and roasted Jap pumpkin, eggplant (aubergine), zucchini, rutabaga (swede), carrot, celeriac, parsnip or olives. Again, check out what’s low FODMAP on the Monash app!